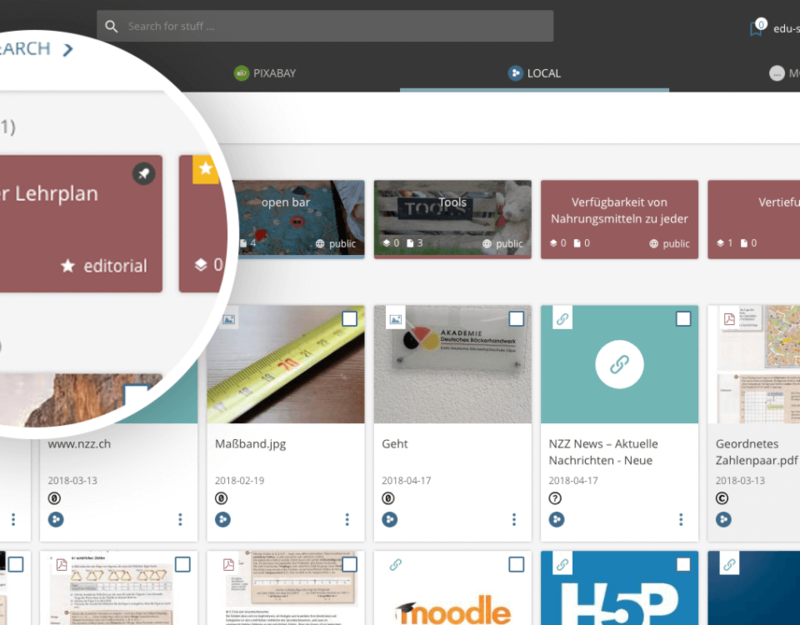 We've finished development on first release candidate of edu-sharing 4.1 - it's ready to be tested by the community. Thanks for your time. We're looking forward to your feedback. 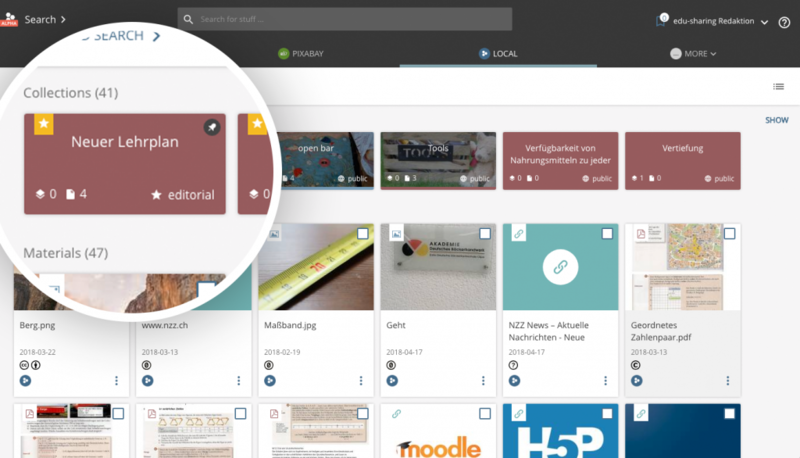 Introducing: Editorial collections are a place where users can find quality assured content created or edited by editorial teams. You can also add further metadata to those collections (i.e. tags) and pin them in search to make them visible. Thanks to our rendering service you can use H5P content since this version. Just create and download new content on h5p.org →. Upload the .zip in edu-sharing and make it available everywhere. Open licenses (i.e. for OER) can be assigned with just a few clicks. Other license types are available as well. Use contexts to access edu-sharing through different perspectives with a certain URL. Build one instance for schools and higher eudcation and devide both parts using a context for each. In each context you can set an own banner image and metadata.